Men’s Dress | Marathon Orthotics, Inc. Extra support when the occasion calls for it. 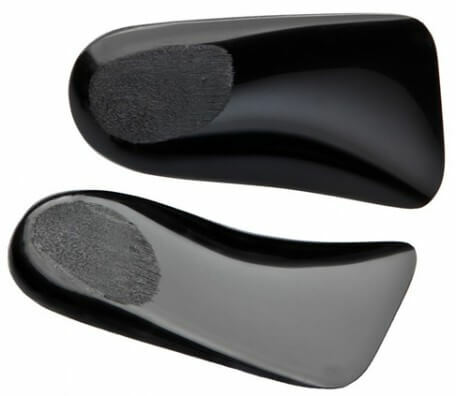 The men’s dress orthotic is a black polypropylene shell with an intrinsic forefoot and rearfoot posting to ensure a low profile in the shoe. For additional cushion, we suggest a MPJ-length, black naugahyde top cover. For an inexpensive, prefabricated solution, see our Ped Pillows™.